Another week in the books, Charlotte. The sun will set on the week at 7:48 p.m., but a lot of news happened before that. OK, I totally stole that from Brad Panovich’s daily sunset tweet, but anyway, here’s five local news stories we think you should know in case you missed them. A group of students from Garinger High School, Berry Academy of Technology and Myers Park High School hosted the WakeUP Student Summit on Saturday morning, leading discussions on topics like affordable housing, the myth of “the American Dream” and mental health in schools. WakeUP is a student-led organization that works to cultivate student leadership through development and advocacy. 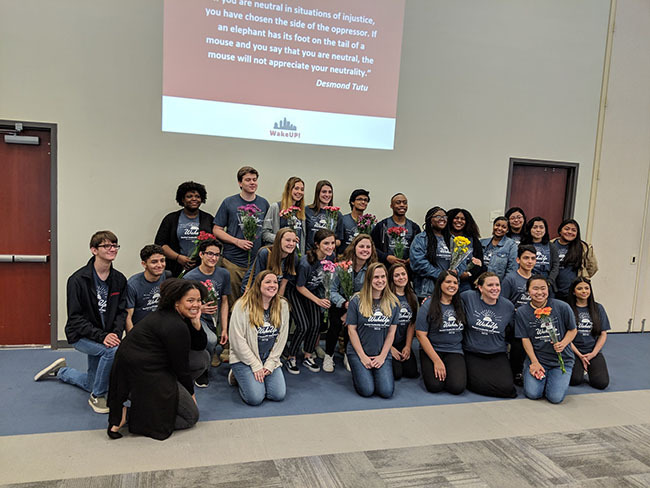 During their presentation on mental health disparities in local schools, a group of Garinger students presented an open letter they wrote to Charlotte-Mecklenburg Schools Superintendent Dr. Clayton Wilcox in regards to the proposed 2019-20 school budget. In the letter, the students explain how Wilcox’s goals of “building trust” would be undermined by plans to increase security and policing in local schools rather than spend money on increasing the presence of social workers. WakeUP organizer and Garinger teacher Tara Storm said she hopes that Saturday’s summit helps boost the voices of the oft-overlooked students. “Since we have so many people in attendance from all over Charlotte including school board members, teachers, leaders, hopefully they will be able to internalize this and do something about it, since they have the power,” Storm said. Police confirmed this week that a body found floating in Lake Wylie near Buster Boyd Bridge on Sunday was that of Vatsla Watkins, who had been reported missing on March 18. 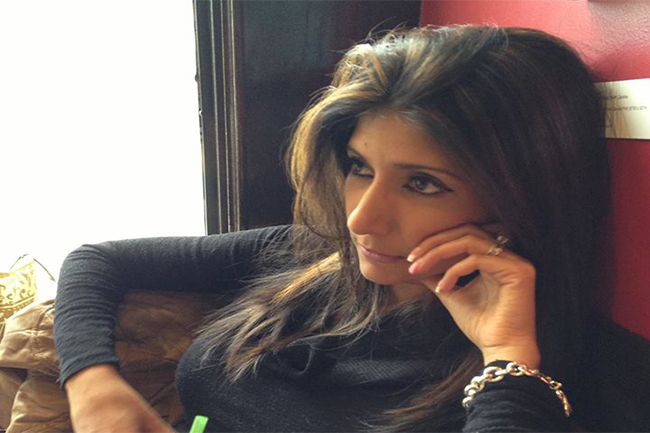 Investigators had found Watkins’ car at a nearby marina on March 22. Watkins’ death is believed to be a suicide. A Facebook post from Watkins’ sister after she went missing stated that Watkins struggled with anxiety and depression. “It might be hard to fathom that someone with so many blessings in life would struggle with something like depression and/or anxiety but it happens more often than you might think … maybe even someone you know,” the post read. 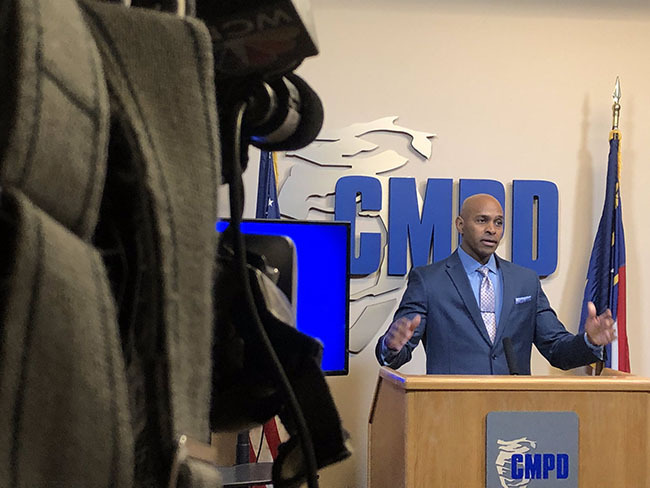 The Charlotte-Mecklenburg Police Department released the first quarter crime stats for 2019, showing that the city has seen a 4% increase in crime, including an increase in violent crime and property crime. There were 33 homicides reported in the first three months of the year, not including the killing of Danquirs Franklin at the hands of a CMPD officer, as the department does not include “justified killings” in homicide statistics. That’s a 230% increase compared to the same time last year, when the city had seen just 10 homicides by the end of March. Other increases included robberies, rapes, aggravated assaults, burglary, larceny and arson. The Harvey B. Gantt Center for African-American Arts + Culture launched an innovative new program on Friday that will aim to build more equitable classrooms in Charlotte-Mecklenburg Schools. The museum held a two-day arts and professional development institute for 15o CMS teachers on Friday and Saturday that includes breakout sessions on race, housing and other issues and keynote speeches from speakers like local TEDx speaker Travis Jones, Teacher of the Year recipient James E. Ford and Profound Gentlemen founder Jason Terrell. The Gantt Teacher Institute is part of the Gantt Center’s Initiative on Equity and Innovation or IEI, which was launched in partnership with Bank of America and former Bank of America Chairman and CEO Hugh McColl last fall to address unconscious bias, discrimination and social injustice through the arts. “Our Initiative on Equity and Innovation allows us to embrace the full power of arts to close the cultural divide and to provide opportunities for experiential learning that accelerate progress toward an equitable society, and significantly strengthen and enhance our community. This partnership with CMS is an important first step in ensuring that future generations gain a deeper understanding of what it means to value differences and establish an inclusive mindset,” Gantt Center President & CEO David R. Taylor stated in a press release. Three homicides occurred in Charlotte this week, bringing the total for the year to 35. On Sunday, police responded to a domestic disturbance on Bon Rea Drive and found the body of Jonathan Whitlow, 21, rolled up in a carpet in a room of the home they responded to. The other person in the home, 24-year-old Andrew Houston, tried to run from officers but was soon found lying in a creek bed near the home. Houston has been charged with murder. On Wednesday, police responded to a home on Newland Road in north Charlotte and found two people suffering gunshot wounds. The female victim, 71-year-old Santa Acevedo, was pronounced dead on the scene. The male victim was transported to the hospital for treatment. On Friday afternoon, two people walking down Morrow Street near Central Piedmont Community College’s Uptown campus came across the dead body of 60-year-old James Anderson. According to CMPD, Anderson appeared to have died of trauma, and after further investigation, detectives ruled his death a homicide.